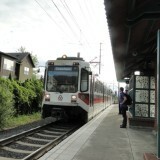 MAX light rail train arriving at Orenco Station from Hillsboro, heading to Portland and Gresham. First important thing to know: Orenco Station is both an actual light-rail station and the name of a 209 acre "transit-oriented" development adjacent to the station. They're both in Hillsboro, Oregon, a fast growing suburb of Portland, and home to the state's "Silicon Forest." 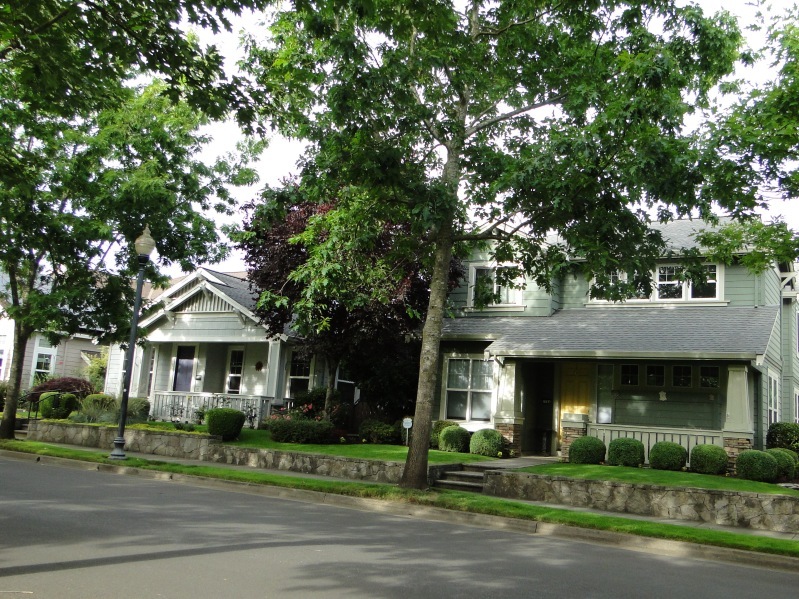 Mixed-use housing two blocks from the Orenco light rail station. All photos by Wayne Senville unless otherwise noted. You know Orenco Station -- the development, that is -- is important, first of all, because there's a detailed Wikipedia entry about it (not many developments can boast that!). 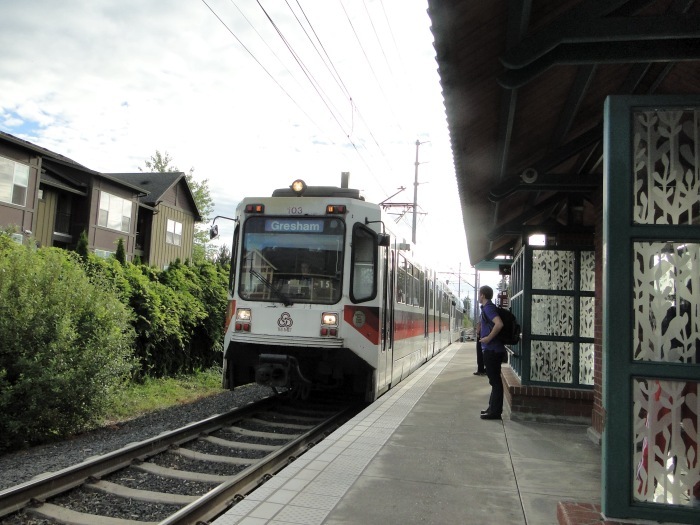 More importantly, Orenco Station has been one of the pioneering large-scale transit-oriented developments in the United States, and a key model for how to get people living in suburbs to drive less, and walk and use transit more. This aerial map shows most of the Orenco development. On the south, the red circle indicates the location of the light rail stop (there is more housing south of this); the orange circle shows the location of the commercial Town Center on NE Cornell Road, a major arterial. 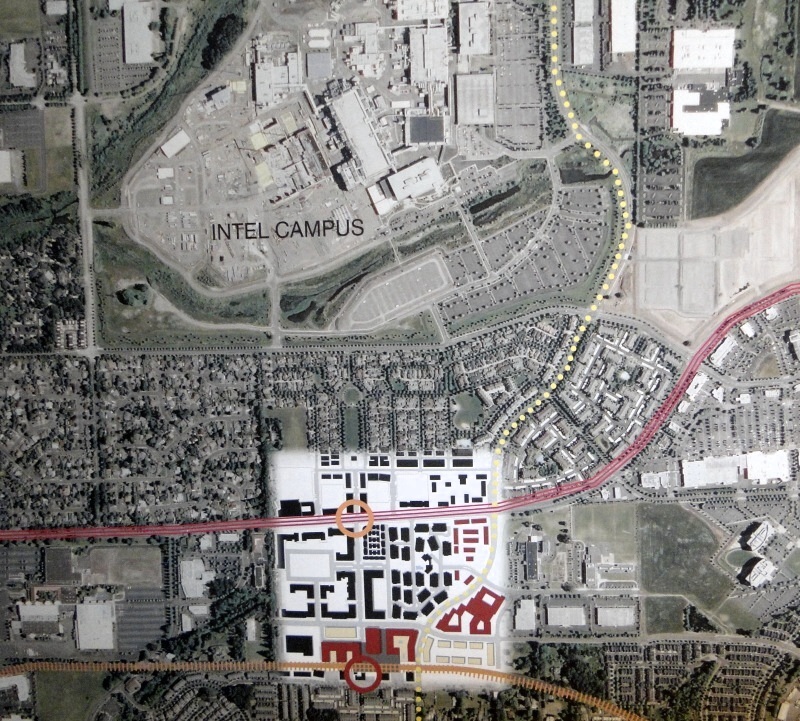 The massive Intel facility is adjacent to the Orenco development to the north. 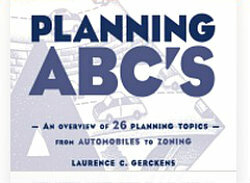 As with all maps and photos in this post, click on them to view at larger size. 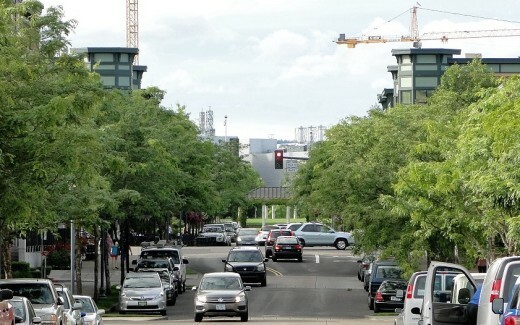 Intel's huge Ronler Acres facility looms in the background; photo taken a block from light rail station, looking through center of the Orenco development towards Intel. 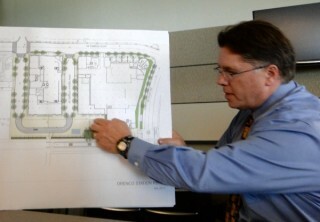 Hillsboro Assistant Planning Director Colin Cooper. 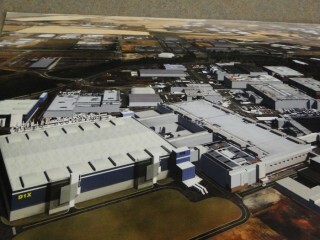 Rendering of Intel D1X plant. 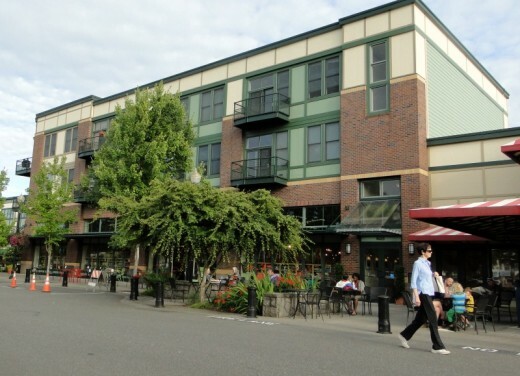 Mixed-use development in Orenco Station's Town Center area. New Seasons Market is part of Orenco's Town Center. 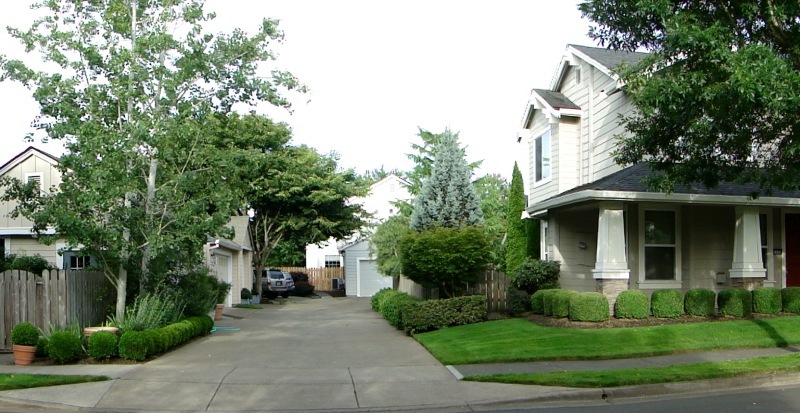 Above: Medium density housing on skinny streets; below: lower density housing closer to Orenco's Central Park. 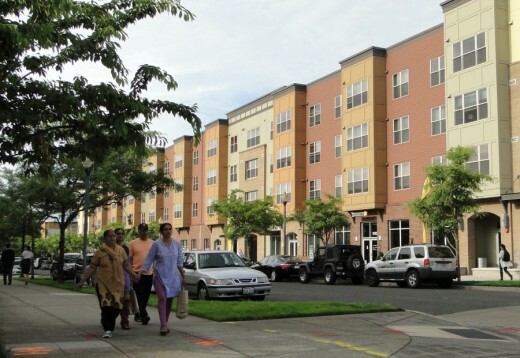 The first phase of development at Orenco in the late 1990s. Interestingly, among the last major parcels planned for development are those closest to the rail station. The project in the rendering below would fit in part of the still undeveloped space seen above. Photo and rendering provided by Colin Cooper. Much of Orenco's remaining build out will include high density units. These will be in the undeveloped area close to the light rail station. How Well Has Orenco Station Done as a Transit-Oriented Development? Again, let's remember that one of the key aims of a TOD is to reduce auto usage and get more people on transit. There's been one detailed survey of Orenco residents -- done by Bruce Podobnik, an Associate Professor of Sociology at Lewis and Clark College in Portland -- "Assessing the Social and Environmental Achievements of New Urbanism: Evidence from Portland, Oregon." 64 percent of residents said they drive alone to work in their own cars. 65 percent said they've use public transit (light rail or bus) more since they moved to the community. 67 percent say they use mass transit at least once a week. 50 percent say they walking to a store or shop five or more times a week. 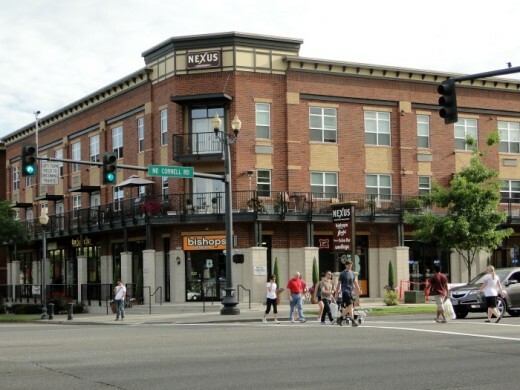 Podobnik conducted two surveys in Orenco Station -- one in 2002, just five years after the first phase of the development had opened, the other in 2007 after more build out had occurred, including the Town Center with stores and a grocery. Not surprisingly, walking to stores and shops increased significantly, from 11 percent in 2002 to the 50 percent mark noted above. In response, Michael Mehaffy has pointed out that many of those living at Orenco Station work at the nearby Intel facility (how many appears to be unknown), just a short one mile drive away (apparently, it's difficult to walk to work at this mega-sized plant). 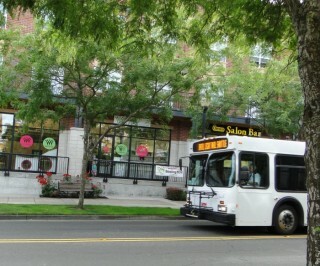 A shuttle bus also circulates through Orenco, connecting with the light rail station. Yes, as Mehaffy indicates, the light-rail station is not really in the most central location -- and might have drawn more ridership if it were close to the Town Center, which really does seem to be at the heart of the development. But much of the remaining high-density build out will be located closer to the station -- and my guess is that transit ridership rates will increase. There's plenty of parking readily available throughout the development. Homeowner have garages (albeit tucked off of alleyways and not in the front of the house) and those living in apartments have underground parking. 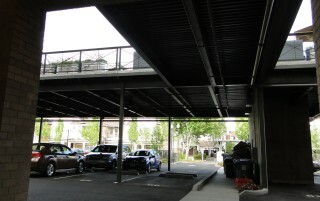 Alleys provide access to parking for housing in the lower density parts of Orenco. The Town Center, while certainly walkable, also provides ample on-site parking. Portion of parking area serving the Town Center shops. Orenco Station is far from being a "car free" environment -- and would probably make little sense (and be unmarketable) as one. It's likely that most people in a suburb like Hillsboro would still want to have a car, even if they didn't use it nearly as much as they would if living in a more typical suburban development (as, in fact, Podonik's survey results indicate). 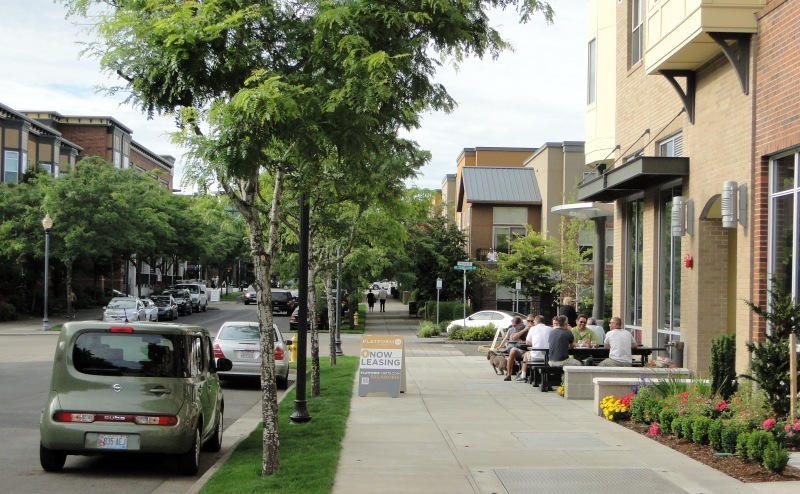 Orenco also provides a visually pleasing, and very walkable environment. The design of most buildings is good, if not outstanding. There are plenty of sidewalks; a large "Central Park;"
Two views of Orenco Station's Central Park. If you scroll back up to the aerial photo and map, you can see that it's the long green rectangular area located close to the Intel plant. and lots of stores and shops within the development -- many on the ground floor of mixed-use buildings. 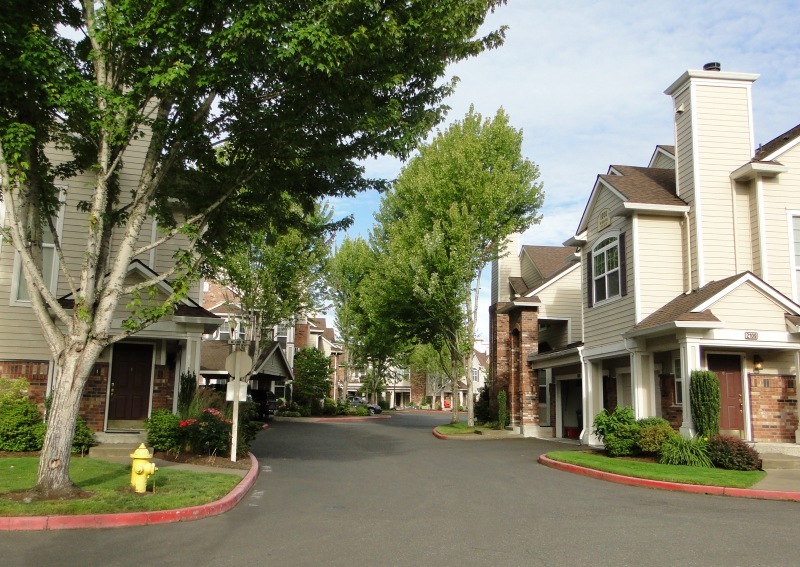 Over the years, as tree plantings mature and the development fills out, it should become an even more attractive place to live. Orenco Station reminded me, in several ways, of Mariemont, Ohio, a 1920s planned village just a few miles east of Cincinnati. 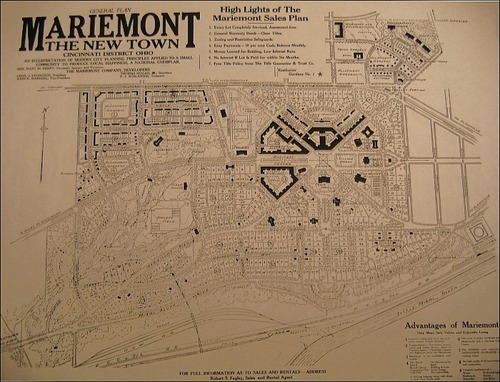 Based on an English village model, Mariemont provides an integrated mix of apartments, single-family houses, commercial buildings, boulevards, and parks -- all in a compact, walkable layout. Many residents move from apartment or small house to a larger place within Mariemont over the course of time -- sometimes making several moves up the housing "ladder." This attests to the value of providing a wide mix of housing types within the village -- something that Orenco Station also provides. Take a look at my report about Mariemont. Given the constraints of the urban growth boundary, coupled with both the rapidly growing employment base in Portland's western suburbs and the region's commitment to making substantial cuts in greenhouse gas emissions, there's really little alternative to high-density suburban developments like Orenco Station. What's more -- and I forgot to mention this earlier -- Orenco Station residents very much like where they're living. Mmm. perhaps high-density development is not that scary a proposition for at least some suburbanites. Yes, there are tree huggers in the suburbs, and I found some of them at Orenco Station. 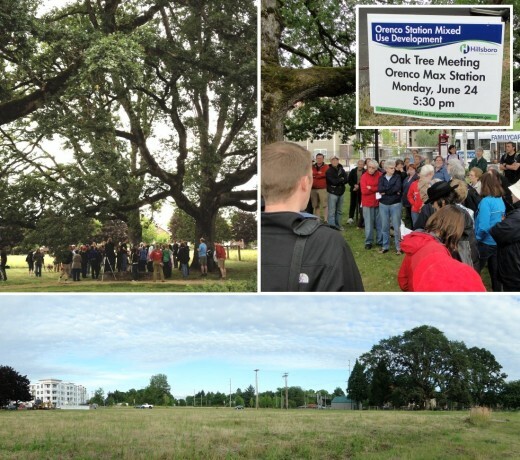 Right after I got off the MAX train, I saw a group of people off to the right surrounding some very large oak trees. At first I thought it might be some pantheistic religious group. But when I got up close, I heard that they were talking about the fate of those very trees they were standing under. Old oaks close to the Orenco Station light rail stop. The bottom photo shows part of the area planned for development. Click on photo grouping to view it at larger size. It appears that the next phase of development at Orenco Station will be close to where these oaks are located. 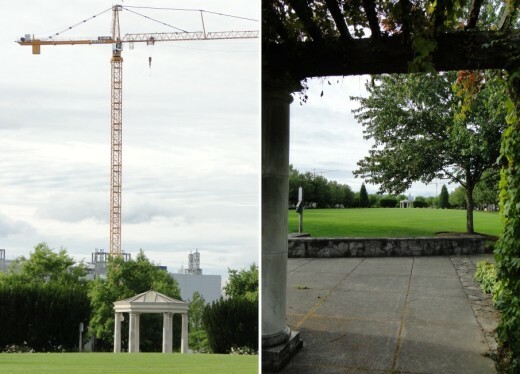 While the development will include a park and plaza area, there's still the likelihood that the trees will be put at higher risk (apparently, they already have significant health issues). The Hillsboro Parks & Recreation Department retained several tree experts for advice. For those of you who are also tree huggers -- or are just interested in the fate of these oak trees -- you can download the tree experts' report (pdf).